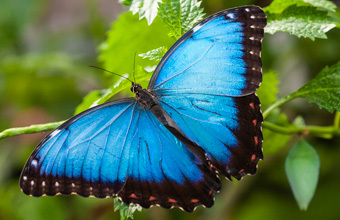 VISITORS to Stratford Butterfly Farm will be able to see a stunning photographic display by well-known wildlife photographer Peter Farmer of Survival photos. The montage of photographs features close-up images of the butterfly's life cycle and will be on display in the caterpillar room throughout the summer holidays. Marketing manager Emma Bartholomew said: "We are delighted to have a selection of Peter's photographs on display throughout the summer. "The images are spectacular and I'm sure all our visitors will enjoy seeing the results of Peter's work." Admission to the exhibition is free, however, normal admission charges apply.